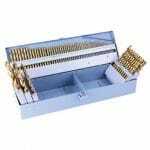 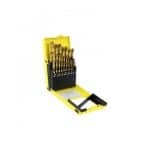 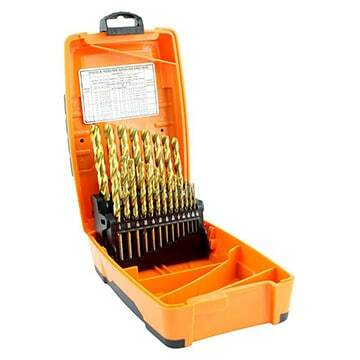 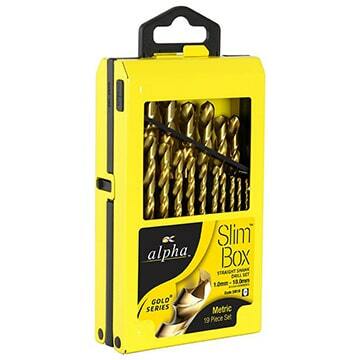 The Alpha Gold Series Metal Jobber Drill Bit sets are the best choice when you are dealing with a variety of materials. These German drill bits are manufactured with M2 HSS material and a specialised coating which extends the drill life by reducing heat build-up and increasing lubrication. Overall performance is improved by the 135° split point cuts which mean a faster cut and less wandering. 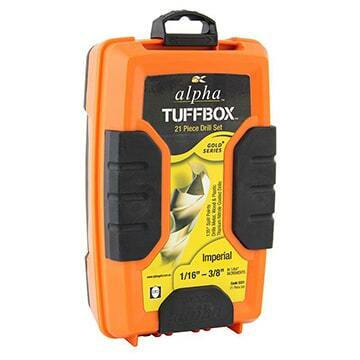 Both metric and imperial sizes are available.